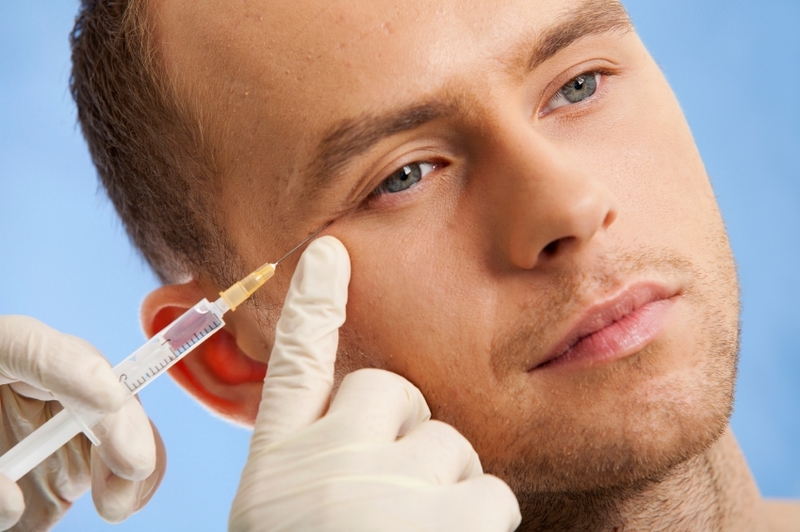 Recent trends in cosmetic surgery reveal that more and more men are requesting for aesthetic surgery. This may be attributed to men wanting to feel good and not wanting their female counterparts to look better than they do after the latter has gone to some rejuvenation procedures. Nowadays, more men are looking forward to having a more balanced nose, a rejuvenated face and a trimmer waistline. There are those working dads in their late 40s who thinks to themselves that he used to look so goon in college. In a Business Insider, it was mentioned that these "athletic dads" tend to avail of jawline recontouring, liposuction, and a small eyelift. According to American Society of Plastic Surgeons member Dr. Jay Lucas, MD, some of the most common procedures are eyelid rejuvenation, neck lifts, rhinoplasty, chin augmentation, and male breast reduction. Signs of aging are often shown in the eyes. Fortunately, surgery to restore the upper eyelids to a fresh and vibrant appearance with correction of any eyelid droop can be a good remedy. The lower lids can be rejuvenated by removing excess fat and repositioning this tissue over the cheek to eliminate the tear trough. This can be important not only in social situations, but also in how a person is viewed in the workplace. Neck lifts help men get rid of the hanging skin and excess fat around his neck which obscures his jaw line and shows his signs of aging. This procedure helps men restore their youthful look to create a strong jaw line and a crisp chin-neck junction. Neck lifts are done as an out-patient procedure with minimal pain and a recovery of around two weeks. These procedures suggest proportionality in the face of the patient and requires a great understanding of the patient's facial appearance. If the nose seems big, maybe the lower face is out of place, such as a small lower jaw or chin. To create a harmonious facial appearance, rhinoplasty along with chin augmentation is performed. This is not a weight loss technique, rather it is a contouring tool which reshapes the abdominal area to create a sleeker frame. Male patients are however encouraged to go on a healthy diet and exercise before availing of this procedure as an adjunct to improve appearance. In our culture, looking good and youthful is prized, men included. The advent of the advent of latest technology and availability of several plastic surgery procedures drive men to look and feel good themselves. Med Spa owners may capitalize on this trend to open their clinics not only to the women, but the men clientèle as well.